The Salvation Army is hosting a full week of holiday meals across Chicago. CHICAGO (WLS) -- The Salvation Army is hosting a full week of holiday meals across Chicago. 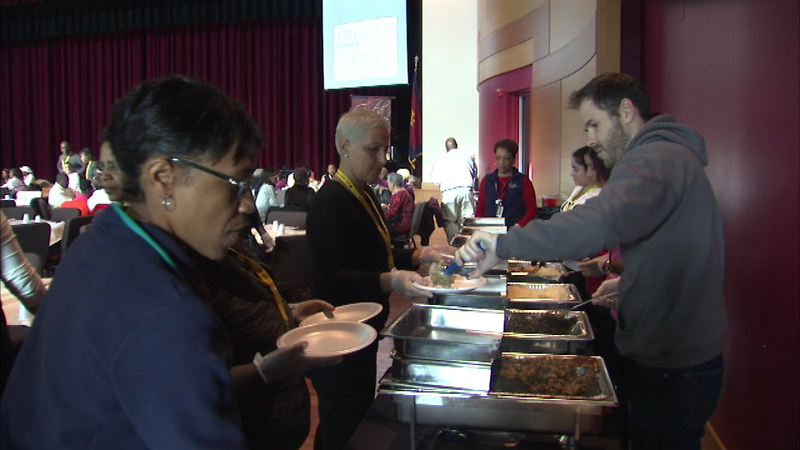 Hundreds of people sat down for a free dinner at the Kroc Corps Community Center on West 119th Street Sunday. The Salvation Army will provide meals to more than 3,500 people who would otherwise go without this Thanksgiving.